“I was surrounded by friends, my work was immense, and pleasures were abundant. Life, now, was unfolding before me, constantly and visibly, like the flowers of summer that drop fanlike petals on eternal soil. Overall, I was happiest to be alone; for it was then that I was most aware of what I possessed. Free to look over the rooftops of the city. Happy to be alone in the company of friends, the company of lovers and strangers. Everything, I decided, in this life was pure pleasure. 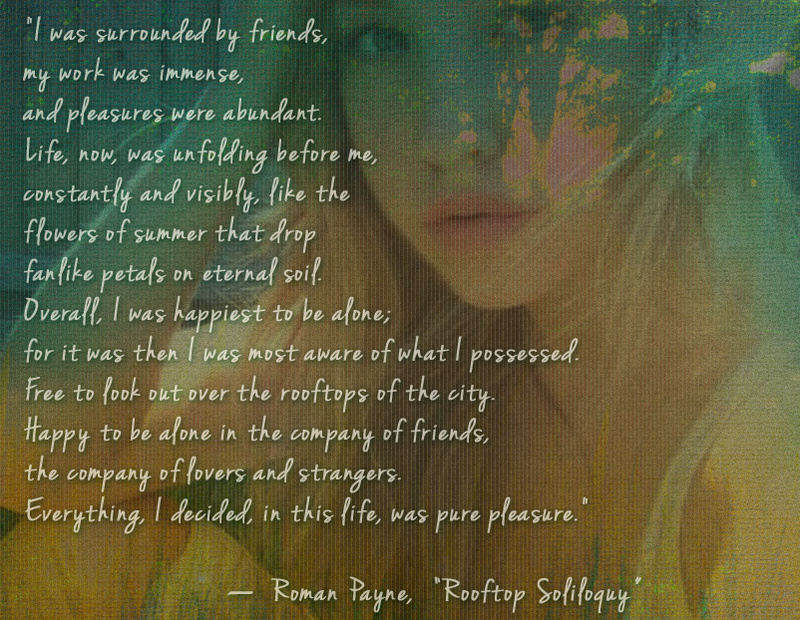 It was when I was browsing the Internet for an apt quote starting with the letter 'I' that I came across these beautiful lines by Roman Payne for the first time. The words washed over me like a calming cascade of water, as he spoke of everything in life being pure pleasure, of being surrounded by friends, a concept that I believe in as well. Friends are as essential as the air one breathes. Life becomes so much more vibrant when one has friends to share precious moments with. Roman Payne is a poet and novelist living in exile in Africa. 'The Wanderess', a word coined by him, is one of his most well-known novels. I dedicate this post to all the wonderful friends I have made over the years, both real and virtual. They have afforded me much pleasure and if, by chance, there have been rare moments of discord, another quote comes to mind. 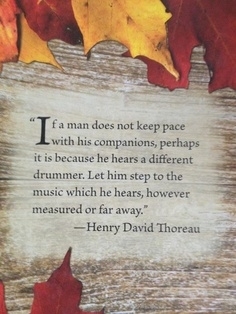 "If a man does not keep pace with his companions, perhaps it is because he hears a different drummer. Let him step to the music which he hears, however measured or faraway." Such lovely thoughts that define friends and their company beautifully. It's true that there is nothing on this earth more to be prized than friends and their friendship. Friendship is good for the soul, and good for health. Can't think of a greater treasure than my friends and family.